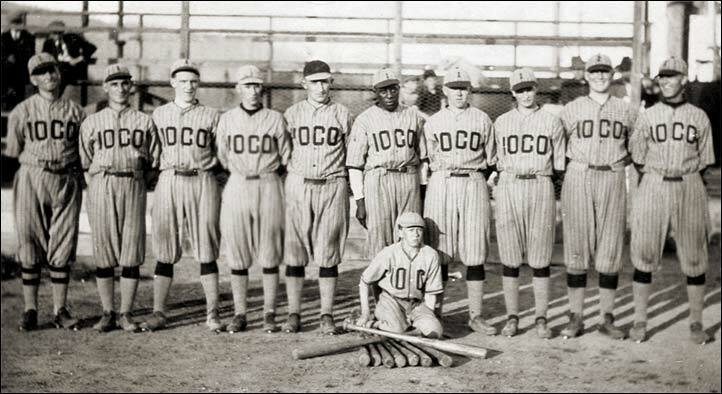 The 1923 edition of IOCO (Imperial Oil) senior baseball. The only ID so far - Jesse Scott (6th from the left, behind the batboy). Players on the 1923 IOCO squad - Bacon Jack C, Cameron B. 1B, Cameron R. OF, Clark W. 2B, Coyle 3B, Craig OF, Dowding P, Freshfield Dean SS, Robinson P, Jesse Scott OF, Thorburn P/OF.